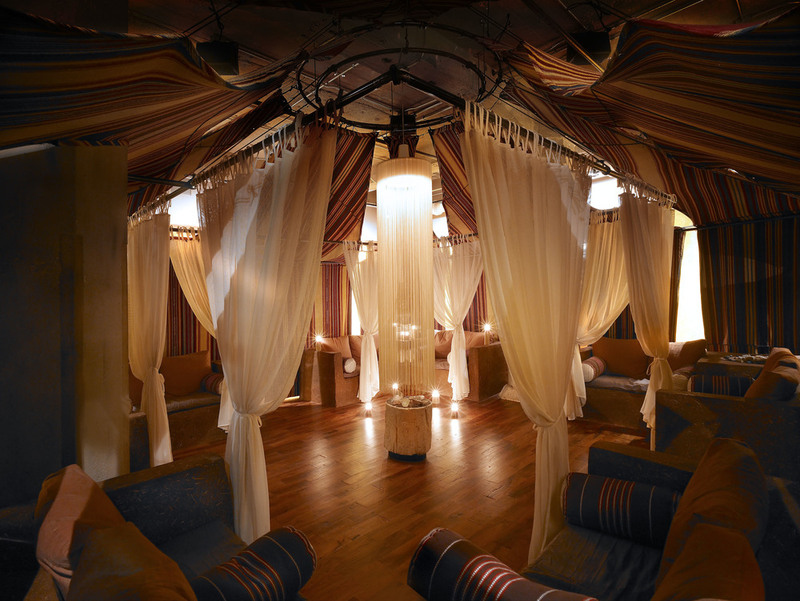 The idea of spending the entire afternoon together at a spa seemed impossibly luxurious...and in fact it was! The moment we stepped through the doors of Allyu Spa, we were enveloped in the smell of incense, the sound of soft music, and the taste of the delicious tea that was handed to us before we had even taken off our shoes. Our guide, Elizabeth, showed us through the different areas of the spa, explaining how the building materials had all been sustainably sourced, and were mostly recycled. 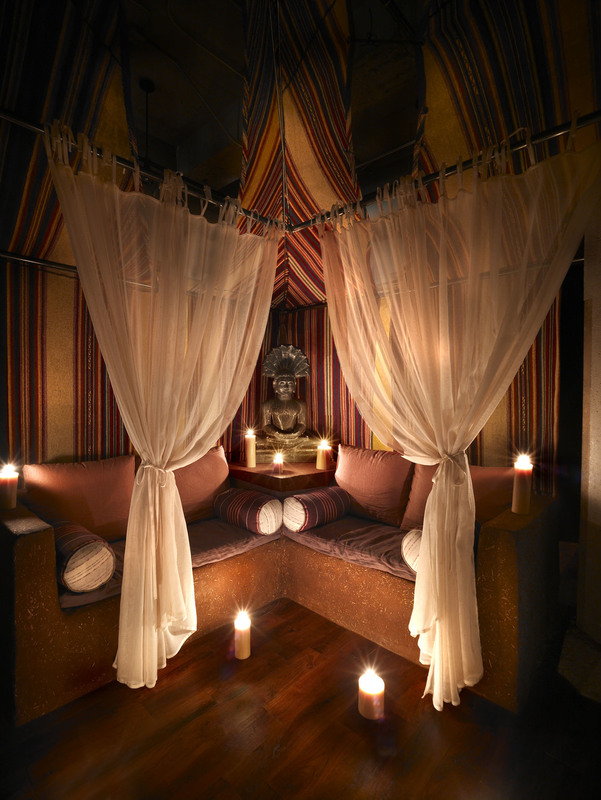 The massage rooms, saunas and showers, are arranged in a large circle around a central 'relaxation tent', and the stone-flanked passageways are warm and dimly lit, giving the feeling that you are walking through Ali Baba's cave of wonders. On our recent adventure to Belize, we had developed a bit of a seafood addiction, which we had yet to satisfy since returning to the windy city. We had been salivating over the menu for Joe's Chicago for some time, every now and again announcing "Stuffed Shrimp! ", "Ahi Tuna! ", "Oh, Cheesecake! ", and generally indulging our gluttonous fantasies by imagining how many different things we could order at once. This of course made it difficult when the time came for us to be seated and faced with an actual menu, because we could not decide what to order. Our charming server was no help, pronouncing everything on the menu "delicious" or even "out of this world". After much deliberation, we settled on Madagascar Shrimp (a behemoth of a crustacean, served in a single, mouthwatering piece) and Fried Oysters for starters (my first oyster experience - an aphrodisiac I hear? ), with Ahi Tuna Steak and Chilean Sea Bass for our mains. Part of the experience when dining in a place like Joe's is the amazing service you get from the staff. Our server, Erin, has worked at Joe's for many years, and actually met her husband there! She was delightful, funny and - along with our other host Eric - determined to ensure our experience was as perfect as possible. The issue came when it was time to order dessert... We were almost completely full, and yet there were so many choices! 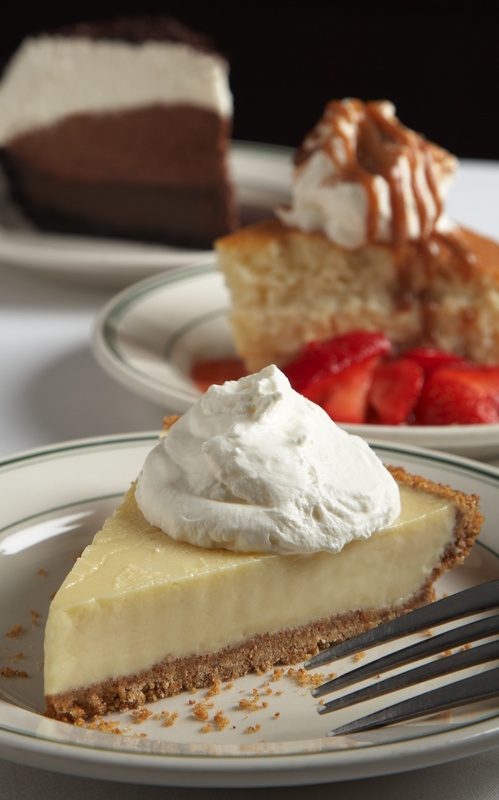 The ever-obliging Erin suggested we order two or three "half-slices" so we could try a selection, and, forgetting for a moment where we were in the world, we agreed, ordering "half-slices" of the Marscapone cheesecake, the Havana dream pie, and the Key Lime pie respectively. When they arrived, we realised oh, right, we are in America! The half slices were ginormous! Although each dessert was absolutely transcendent, we hardly made a dent. Despite our stretched stomachs, we cannot recommend the experience highly enough. The atmosphere was quiet and romantic, the food was outstanding, and the service was wonderful. After we had slept off the prince-worthy feast from Joe's, we awoke to a beautiful day, with snow on the ground, and the sun in the sky. We currently live in Uptown Chicago, just three blocks from the lake, and we've made a habit of getting up on weekends, grabbing coffee and wandering down to take photographs of whatever new form the lake has taken overnight. Seeing this vast expanse of water go from glassy ice to snow covered tundra and back to blue waves in the space of a week is one of my favourite things about the winter here. Our coffee addiction is fueled by the good folks at Emerald City, a cute little shop right under the Sheridan L stop, where the coffee is strong enough to ward off those Chicago gusts. No romantic weekend would be complete without a little time out to walk and talk, admiring the city as it wakes up with the weekend stretching ahead. 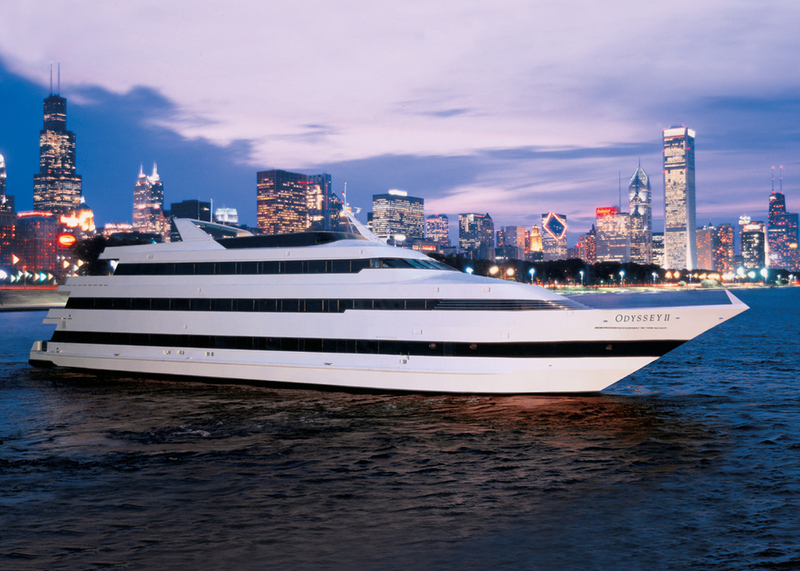 What better way to view a city built on a lake, than from the waters of the lake itself? Since we had missed the summer this year, we had not yet ventured out on the water: our chance came when we boarded the beautiful "Odyssey" cruise boat for our final romantic experience of the weekend. Once again, we were welcomed by the most outstanding and friendly service: when we mentioned our rumbling tummies (deprived in preparation for dinner, after our overindulgence at Joe's), our server Kacie plied us with dainty brioche rolls and butter, till we had enough strength to explore the boat. Braving the freezing air on the upper deck, we drank in the beautiful city skyline, complete with the Navy Pier ferris wheel in all its glory, playing photographer with the other couple who were shivering beside us, before diving once again below deck, and face first in to our delicious seafood entrees. Look out for our next Chicago Weekender edition, and feel free to leave recommendations for weekend themes, or to add to the places we found this weekend. Happy Valentines day!